Je viens de lire l'&#233;dition fran&#231;aise de "&#192; nous deux Paris". J'ai beaucoup ri, c'est tr&#232;s amusant ! J'ai h&#226;te de lire la suite !! I saw your website. To my surprise,there were so many illustrations. You are working hard.I liked a girl with Kimono. J'ai ador&eacute; ! tr&egrave;s droles, &agrave; lire absolument ! F&#233;licitations pour la sortie fran&#231;aise de "&#192; nous deux paris!"! Quel bonheur d'avoir crois&#233; par hasard ton manga chez junku. Enfin traduit en fran&#231;ais ! Ce fut un plaisir &#224; lire, &#224; la fois dr&#244;le, grin&#231;ant et tellement juste ! Je tiens &#224; m'excuser de ce long silence mais j'ai &#233;t&#233; gravement malade pendant 3 ans. Si tu veux me joindre, je n'ai pas changer d'e-mail et j'ai chez moi quelques d&#244;jinshi de Japan Expo 2011 &#224; t'envoyer. 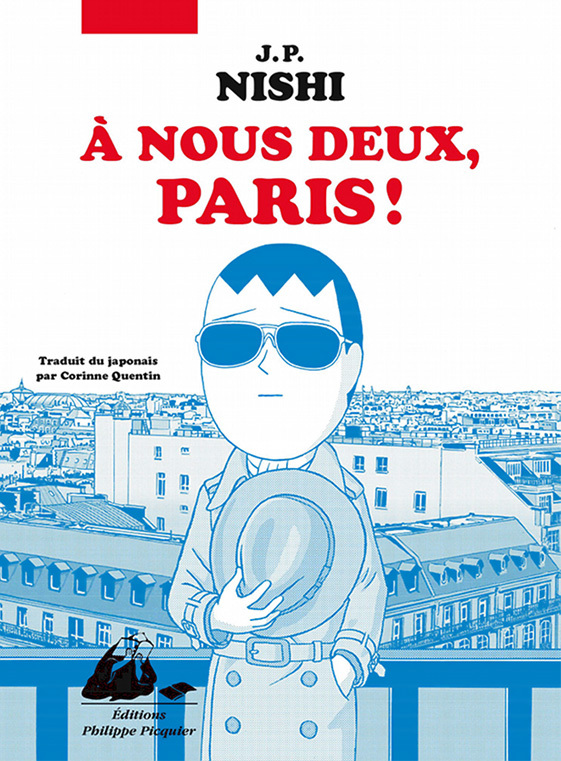 Congratulations for the French release of "&#192; nous deux paris!"! How fortunate I am to have crossed by chance your manga in junku. Finally translated into French! It was a pleasure to read, both funny, squeaky and so just ! I want to apologize for this long silence but I was seriously ill during three years. If you want to join me, I did not change my e-mail and I have at home some Japan Expo 2011 doujinshi to send you. Thank you for your comment. I am very glad to hear from you. I saw an article about me on your website. Merci Thomas. It is funny you found my comic book at Junku. I didn't know you were in JAPAN EXPO 2011 for 4 days! Very unlucky we were! Please don't mind about long silence. We can see next time because I will come to France in next year. I will mail you. see you. I saw your illustrations. Cheerful and funny. I like the Halloween illustration.